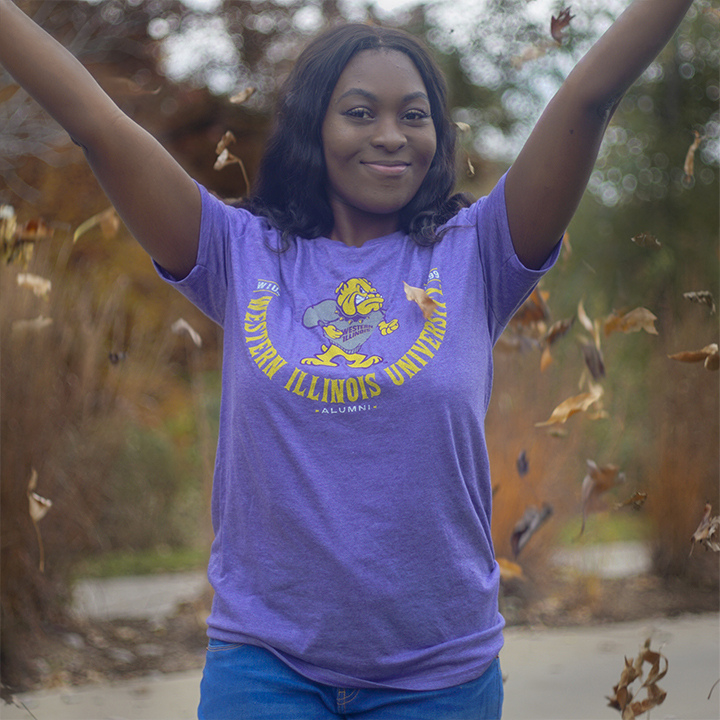 Show off your school spirit with this soft tri-blend tee. It is heathered purple and has standing Rocky in the center surrounded by a "halfepipe" that says Western Illinois University with WIU and 1899 on the end caps. Alumni is underneath. Please select option for Halfpipe Alumni Tee.